We collaborate with artisan weaving groups in two areas -- the city of Varanasi in the northeast, where we work on creating a range of cotton, silk and wool fabrics, and the village of Wardha in Western India which specializes in hand-loomed and handwoven khadi. Khadi is a lightweight, natural cloth woven mainly from cotton, but may also include silk or wool. The fibers are hand spun into yarn on a spinning wheel called a charkha. 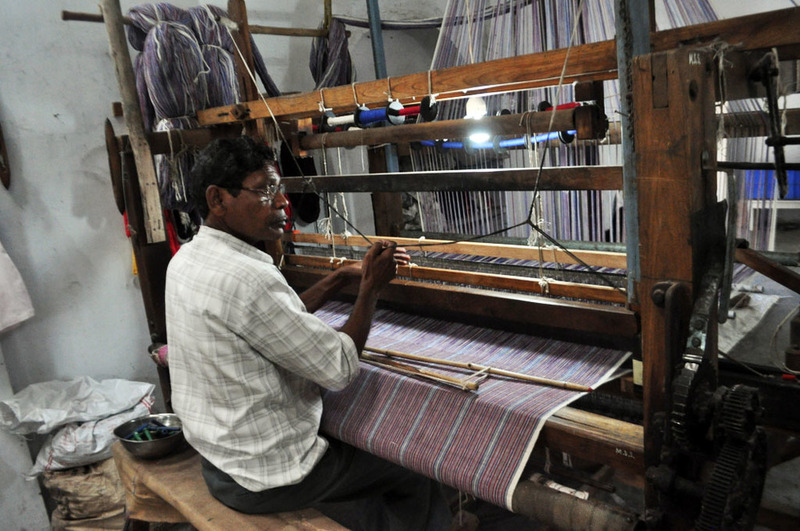 In India, the khadi movement has its roots from the independence movement, when Mahatma Gandhi began promoting khadi for rural self-employment and self-reliance. We are working on khadi designs with weavers in the village Wardha in Western India, where Gandhi resided. Recent designs are on organic cotton khadi, and we are also working on new designs using khadi wool. In the process, the weft yarn is then transferred on bobbin, and warp on the warper, and finally to the weavers. 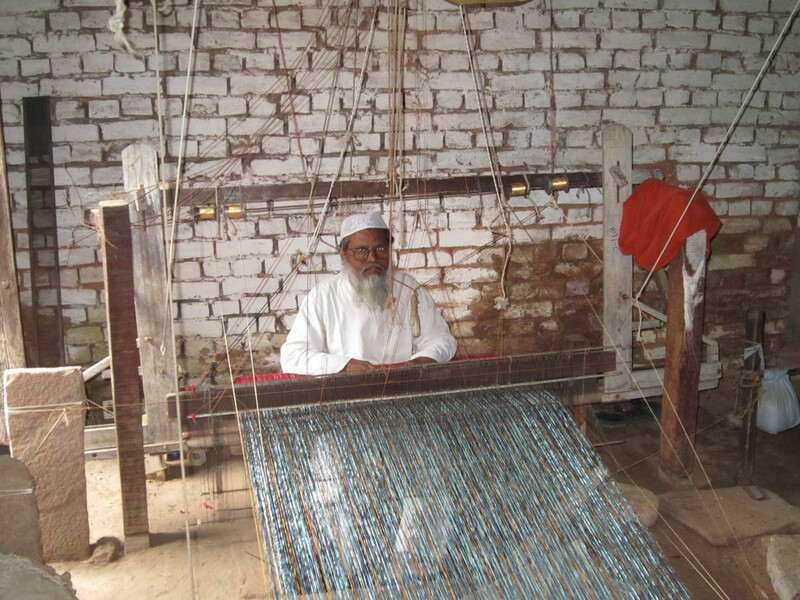 Spinning is mostly done by village women, while weaving is dominated by the men at their home in an individual capacity. At one time khadi was considered as a fabric for the farmer and the rural wearer. Today there is such an increasing demand for khadi that despite the nearly million workers all over the country involved in spinning and weaving, they are unable to meet the demands of the market. Because of the work involved, the price of the khadi cloth when it reaches the shops is now more than that of mill or hand-loom cloth. 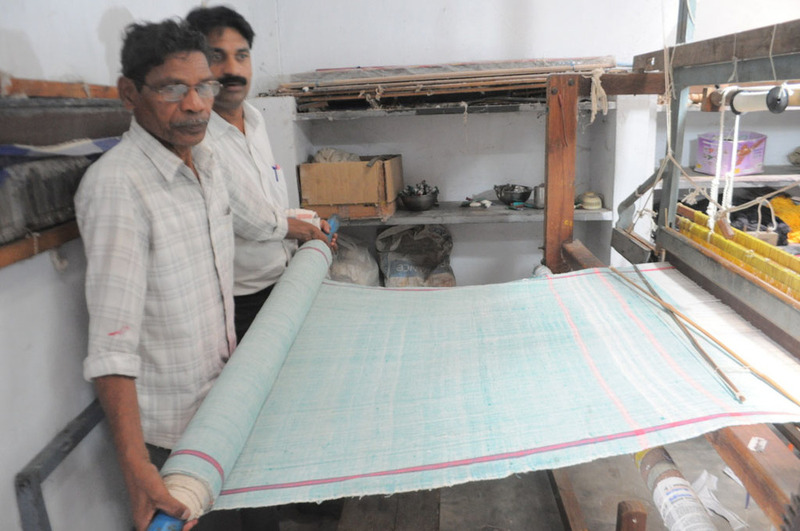 Weaving has a centuries-old tradition in Varanasi. We work with weavers deep in the heart of the old city, who live in large extended families where techniques are passed down from generation to generation. We are increasingly working on custom fabrics with our artisan groups from this area.